Wall mount tub faucets are great when space is limited. 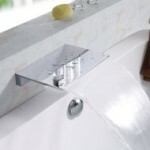 Many of these modern or traditional wall tub fillers offer a handshower for rinsing or cleaning the bath. They allow for less clutter on the tub deck. 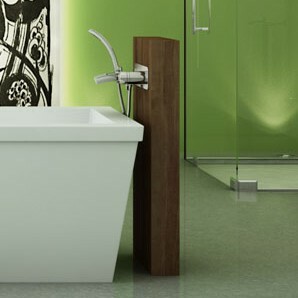 Traditionally used for tub & shower combination faucets, they can also be paired with a freestanding bathtub. The tub fillers are listed by spout length, from shortest to longest. - Check Technical Sheets for exact spout measurements. - Note: Some companies measure spout length, others spout center to center.